Backed by Geetanjali Exports team of highly experienced professionals, we bring forth a comprehensive range of Management Diaries to our esteemed clients. These diaries are fabricated using excellent quality of papers and other raw material and in compliance with international quality standards. We have attained an enviable position in the market by offering a comprehensive range of School Diaries, which is very popular among students. Our entire range is available at economic prices, making it affordable. These diaries are available in different colors, sizes, shapes and paper quality. Clients can avail a quality range of Organizers AIPP 402. 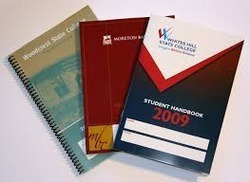 We offer best quality diaries that are widely demanded by our corporate clients. These are used for commercial and domestic establishments as well. The material used for the fabrication of this range is of superior quality. Furthermore, these are available in the market at competitive prices. If anybody interested to get HAND DRAWN DESIGNS ON DIARIES then do contact me on gem.sneha@gmail.com to place your ORDER. We are manufacturing School Diary for Students. We handle bulk orders. These diaries also known as Customized School Diaries | Printed Student Diary | Almanac Diary | Homework Diary | Play School Diary | School Homework Diary | Student Homework Diary etc. 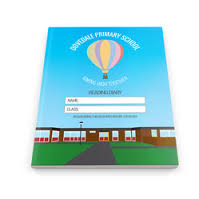 We have readymade School Diaries in stock as buy and print purpose.